Don’t just stand on the sidelines — drive for success with a degree in sport management. Prepare for a career on the business side of the athletics and fitness industry. With its three major league teams and four Division I NCAA schools, Nashville is the perfect city for you to score shadowing experience, internships and jobs. 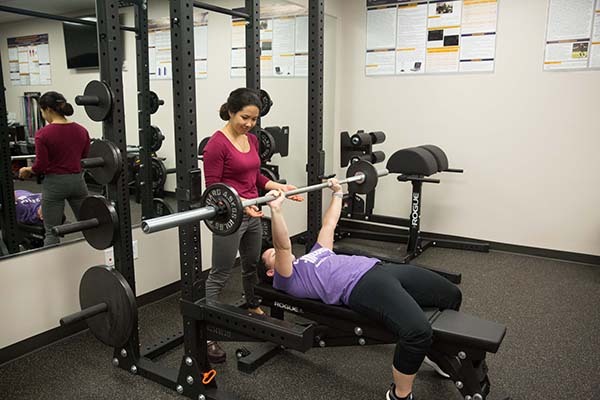 Study in a program that provides you with a comprehensive business education and the added exercise science knowledge to elevate your expertise. Hone skills and gain experience in the business, management and marketing aspects of the athletics and fitness industries. Our unique degree is unlike anything you’ll find in middle Tennessee. Once you’ve learned all you can from our experienced and innovative faculty, go on to pursue an MBA or head straight into the workforce — you’ll be a strong candidate for whatever path you choose. The sport management curriculum is flexible. Basic exercise science and introductory business courses in economics, marketing and finance lay the foundation, as well a specialized course to introduce you to sport management. You’ll then choose from additional courses in social media, entrepreneurship, communication and business law. You’ll have the freedom to tailor the program to your own career goals with the guidance of an advisor.